This week was an unintentional one new food. 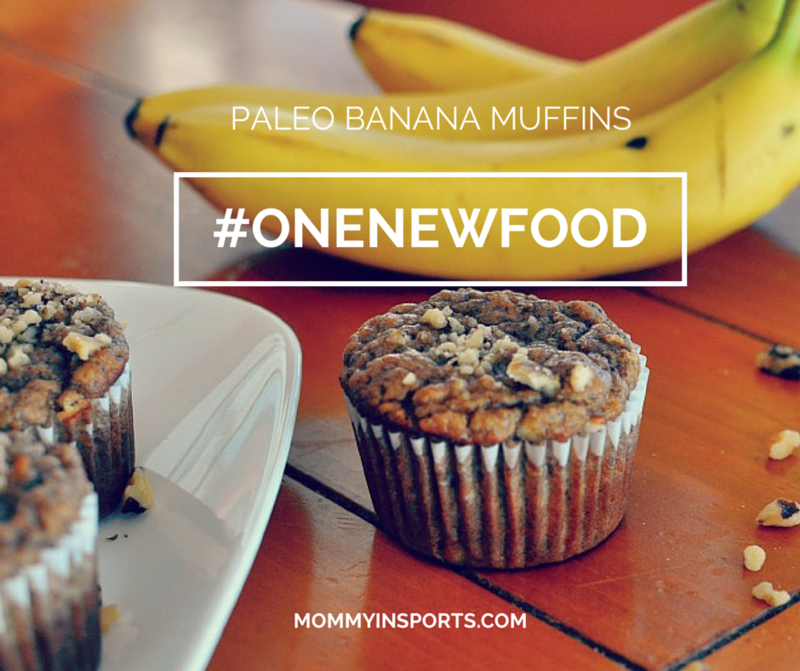 I was about to work out and had some super ripe bananas, so I googled paleo banana muffin recipes. I’ve been on a wellness journey and started to cut foods out of my diet which cause inflammation in my body. 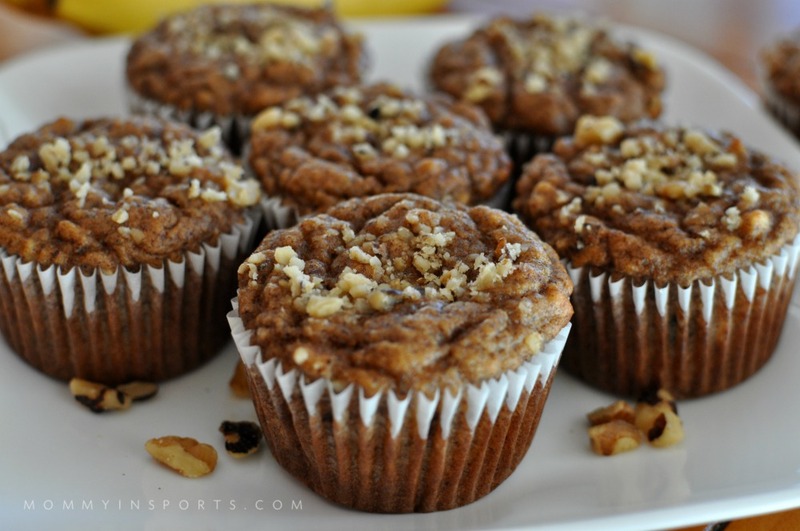 I found this recipe from Paleo Grub….and let me tell you…they were heaven! And they only took five minutes to whip up! I did add a few crushed walnuts in the batter and on top for a little crunch. It’s ironic though because Emylia, who usually loves trying new foods only took one bite and left this yummy breakfast snack on the table for me to finish. Not even trying to fake it this week! But Lila, the pickiest of eaters, ate two at a time every day, and asked for them in her lunch all week! It’s amazing because they are made with bananas, almond butter, eggs, and coconut flour…no dairy, wheat or sugar. I’m super impressed that food so pure can still taste so delicious! This week Lauren and I added a giveaway element to One New Food. 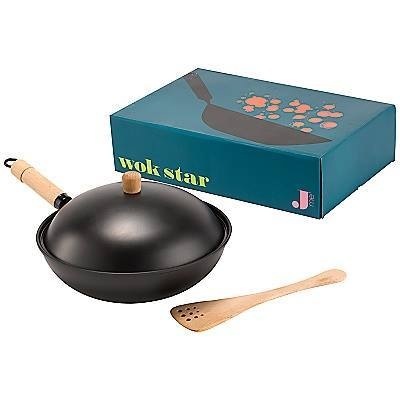 Up for grabs was this amazing wok from Jamie Oliver at Home! Dawn S. from twitter! Thanks so much for entering and…um…can you send me some cake?! Told ya you didn’t have to be a parent to win! Congrats and a big thanks again to Jamie Oliver at Home for providing this amazing prize you can use to cook up your one new foods! We also want to thank all the participants…don’t give up, there will be plenty of other chances to win! 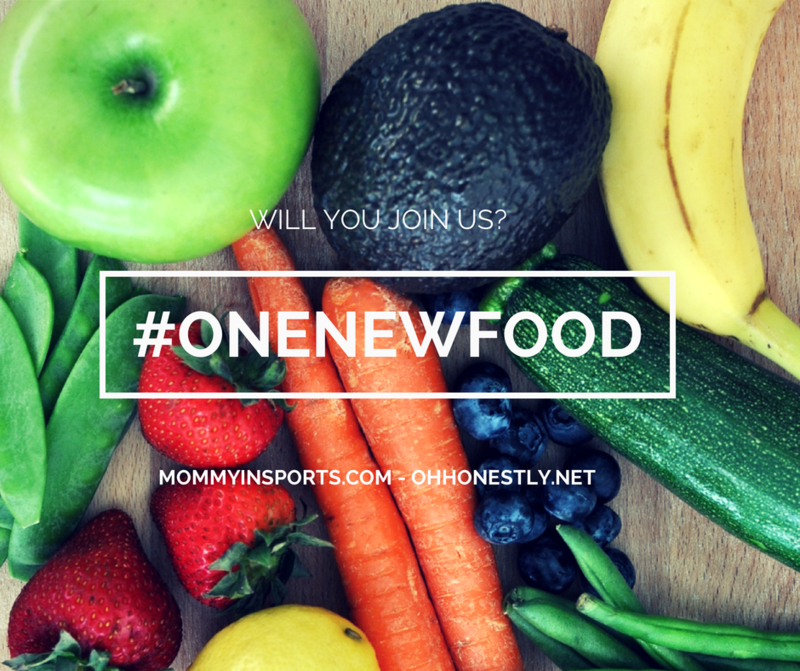 Have you see #onenewfood and thought….”my kids will never eat that!” Or….”I really need to eat healthier….but where do I start?” Here’s the thing….the holidays are coming and temptation will be all around you. If you start with just one little new food a week, small things add up to big changes and big results! Consider it and check back next week, because we have another great prize! Wow, those look super good! Those look great (and anything that only takes 5 minutes to put together is a winner in my book!). 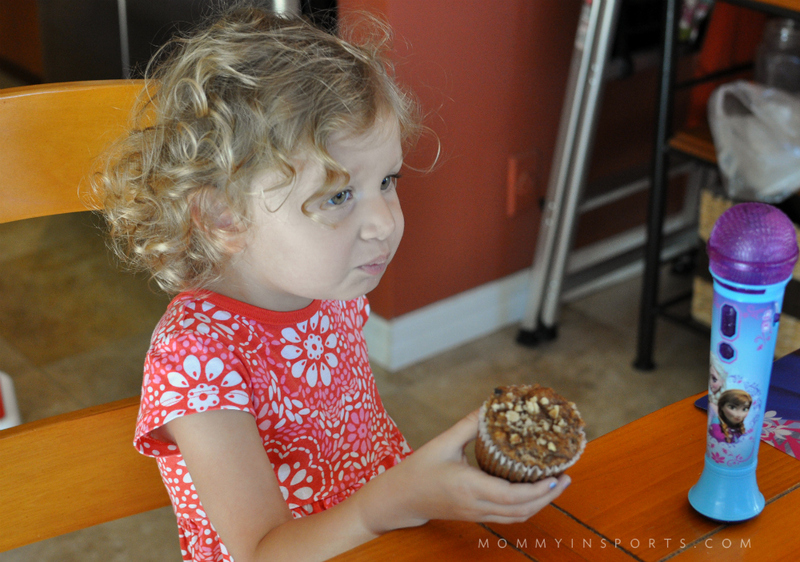 My kids are big muffin/quick bread fans, so we’ll have to try those ones out. I think it’s great your encouraging your kids to try new things! It will help them build an appreciation for healthy foods. I love paleo baking– great, nutrient dense ingredients. I am in love with almond and coconut flours now! me too Michelle! You’ll have to send me some recipes! Those look really good. Haha, the little ones face says she’s not into it. Your girls are so pretty. I Hope you guys have a great Saturday! Yum, they look good! 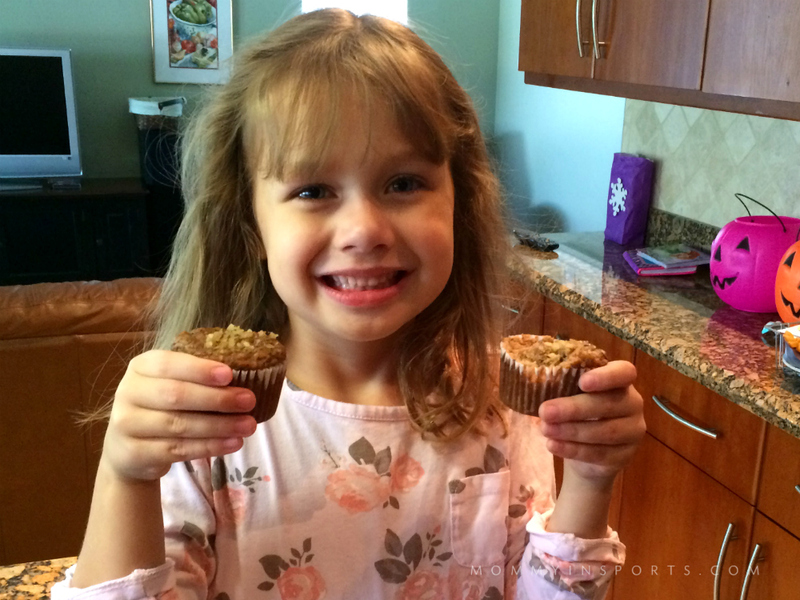 Des gets dairy and wheat free muffins at school, and he loves them! He doesn’t need to know how much butter I put ON my muffins..
My children are super picky eaters especially my son due to allergies so I am not sure what I am gonna try with them this week – perhaps hummus.